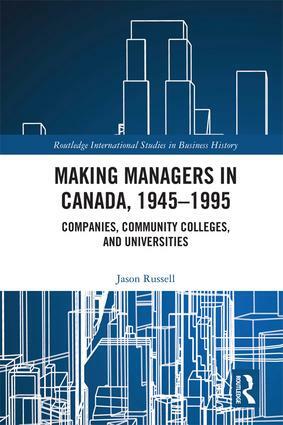 Russell, James, Making Managers in Canada, 1945-1995: Companies, Community Colleges, and Universities, Routledge. Hardcover: US$ 140; e-book: US$ 24.95. Management education and training was a key influence on Canadian capital and labour in the post-World War II decades, however it has been the subject of comparatively little academic inquiry. 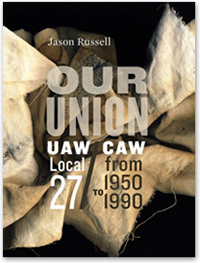 In many ways, historians have frequently learned about management behavior in unionized workplaces by examining labor-management relations. The management experience has thus often been seen through the eyes of rank-and-file workers rather than from the perspective of managers themselves. 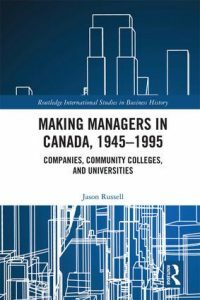 This book discusses how managers were trained and educated in Canada in the years following the Second World War. Becoming 150: 150 Years of Canadian Business History presents selected papers from the CBHA/ACHA Annual Conference 2017. The book presents informative insight into the development of Canada's economy and business sectors since Confederation in 1867. 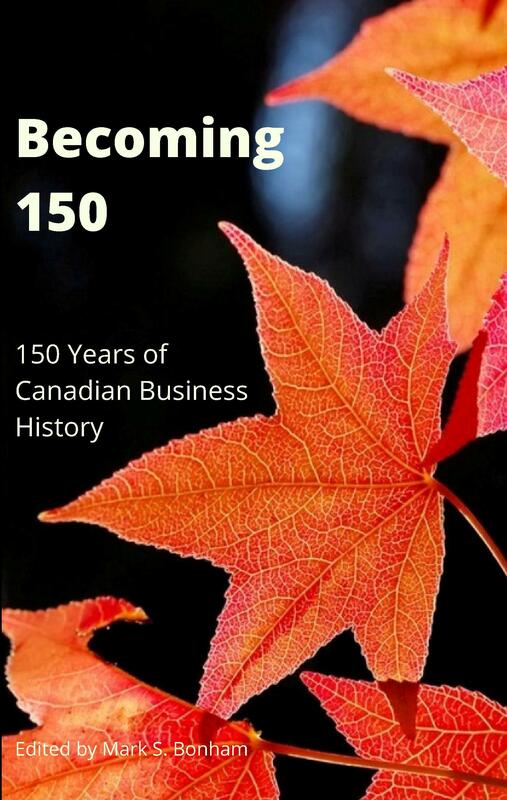 This book is a must read for business people, students and entrepreneurs, and is composed of 18 essays written by business people, academics and recent graduate students outlining the history of Canadian businesses in 8 different topics. Subjects covered include the financial sector, women in Canadian business history, industrial and manufacturing, rural business history, and more. Paperback. 260 pages, including Index. The 2008 financial crisis rippled across the globe and triggered a worldwide recession. Unlike the American banking system which experienced massive losses, takeovers, and taxpayer funded bailouts, Canada’s banking system withstood the crisis relatively well and maintained its liquidity and profitability. The divergence in the two banking systems can be traced to their distinct institutional and political histories. 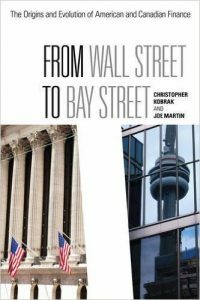 From Wall Street to Bay Street is the first book for a lay audience to tackle the similarities and differences between the financial systems of Canada and the United States. Christopher Kobrak and Joe Martin reveal the different paths each system has taken since the early nineteenth-century, despite the fact that they both originate from the British system. The authors trace the roots of each country’s financial systems back to Alexander Hamilton and insightfully argue that while Canada has preserved a Hamiltonian financial tradition, the United States has favoured the populist Jacksonian tradition since the 1830s. The sporadic and inconsistent fashion in which the American system have changed over time is at odds with the evolutionary path taken by the Canadian system. 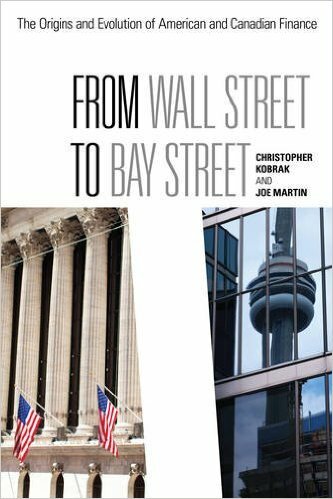 From Wall Street to Bay Street offers a timely and accessible comparison of financial systems that reflects the political and cultural milieus of two of the world’s top ten economies. In 1968, Canadians dared to take a chance on a new kind of politician. Pierre Trudeau became the leader of the Liberal Party in April and two months later won the federal election. 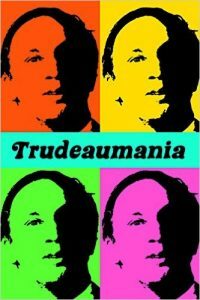 His meteoric rise to power was driven by Trudeaumania, an explosive mix of passion and fear fueled by media hype and nationalist ambition. This book traces what happened when the fabled spirit of the sixties met the excitement of the Centennial and Expo 67. Canadians wanted to modernize their nation, differentiate it from the US, and defuse Quebec separatism. Far from being a sixties crazy moment, Trudeaumania was a passionate quest for a new Canada that would define the values of Canadians for decades to come. 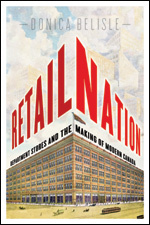 Retail Nation traces Canada's transformation into a modern consumer nation back to an era when Eaton’s, Simpson's, and the Hudson’s Bay Company fostered and came to rule the country’s shopping scene. Between 1890 and 1940, department stores revolutionized selling and shopping by parlaying cheap raw materials, business-friendly government policies, and growing demand for low-priced goods into retail empires that promised to meet citizens' needs and strengthen the nation. This vivid account of Canadian department stores in their heyday showcases them as powerful agents of nationalism and modernization. But the nation that their catalogues and shopping experience helped to define -- white, consumerist, middle-class -- was more limited than nostalgic portraits of the early department store suggest. Winner, 2012 Pierre Savard Award, the International Council of Canadian Studies. 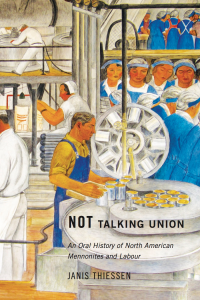 Drawing on over a hundred interviews, Janis Thiessen explores Mennonite responses to labour movements such as Cesar Chavez and the United Farm Workers, as well as Mennonite involvement in conscientious objection to unions. This innovative study of the Mennonites - a people at once united by an ethnic and religious identity, yet also shaped by differences in geography, immigration histories, denomination, and class position - provides insights into how and why they have resisted involvement in organized labour. 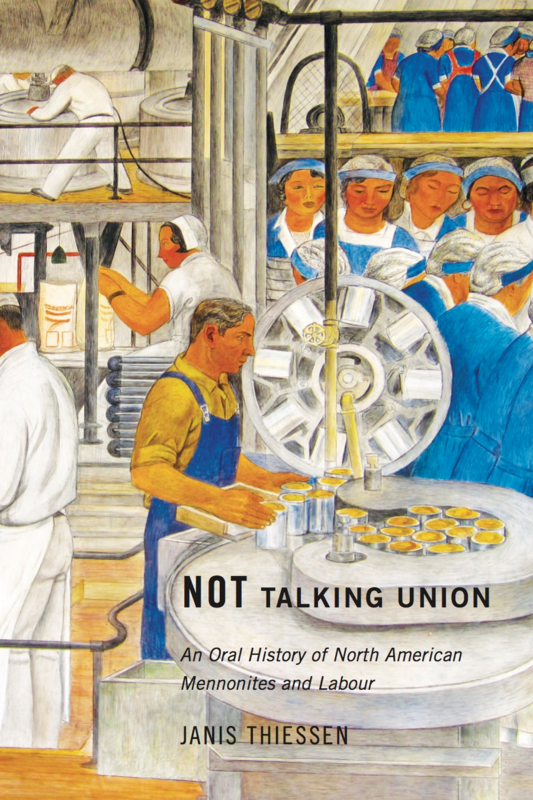 Not Talking Union adds a unique perspective to the history of labour, exploring how people negotiate tensions between their commitments to faith and conscience and the demands of their employment. Examines the efforts of Mennonite intellectuals and business leaders to redefine the group's ethno-religious identity in response to changing economic and social conditions after 1945. As the industrial workplace was one of the most significant venues in which competing identity claims were contested during this period, Janis Thiessen explores how Mennonite workers responded to such redefinitions and how they affected class relations. 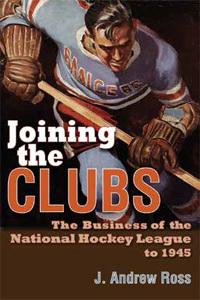 "The most comprehensive history to date of the NHL’s rise from just another league to the center of control over the development of hockey in Canada and much of the USA. The book is very important because of its depth and breadth. "—Stephen Hardy, University of New Hampshire. Casebooks in business history are designed to instruct students in classrooms and boardrooms about the evolution of business management. 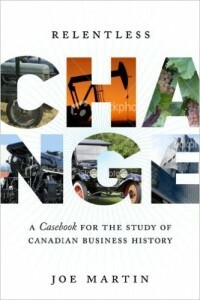 The first casebook for the study of business history in a Canadian context, Joseph E. Martin's text will help students, both in the classroom and the boardroom, understand the Canadian economy and guide them in making sound decisions and contributing to a healthy, growing economy. Thirteen original case studies from the mid-nineteenth to the twenty-first centuries deal with different industry sectors as well as individual corporations and managers. Overviews provide context by examining major public policy decisions and key developments in the financial system that have affected business practices. Martin also presents eight original tables that trace the evolution of the 60 largest Canadian corporations between 1905 and 2005. Relentless Change is an invaluable resource for instructors and business students and clearly demonstrates how businesses are affected by the interaction of individual decisions, policy changes, and market trends. 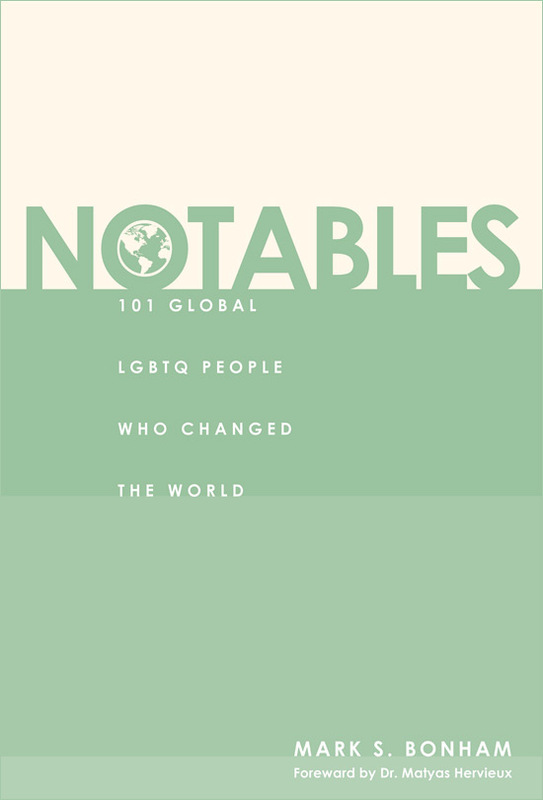 Reveals a group of select Lesbian, Gay, Bisexual, Transgender, and Queer (LGBTQ) individuals whose personal accomplishments in their profession changed the world in some relevant way. 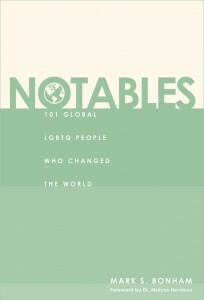 Included are founders of various social movements, innovators in sports, leaders in business and politics, explorers and discoverers, instigators in religious movements, thinkers in philosophy, infamous villains, creators of new academic fields of study, and risk takers in the arts, culture, and entertainment worlds.